Secret Science Lab | Surprising adventures with science and DIY tech! In the last post, we talked about how to teach your Google Home device (or Google Assistant on your Android phone) to send emails. But that itself is not too interesting (unless you really enjoy spamming yourself). 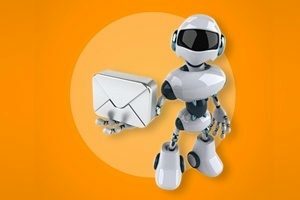 What would be more useful is if you create a program to read and act on the emails automatically. Because, then, you have the ingredients for building your own Virtual Assistant. 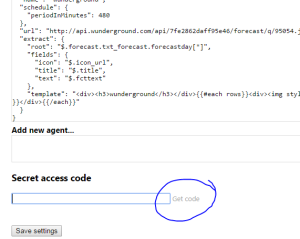 The simplest (and cheapest way) I found to do this is using Google App Engine. It has a generous daily free quota. For all my home automation projects, I haven’t run above the free limit. Give it a go. I think the code I gave you above should work. If I missed something, please let me know at aaron@secretsciencelab.com. Happy hacking! I got a Google Home Mini for $19 last Black Friday, and my family has been having fun with it. My kids like to ask it questions and play music on it. I’ve set it up with voice shortcuts so my kids can say, “Call mom” or “Call dad” to phone me from the Google Home itself (in case of an emergency). It works as a regular Bluetooth speaker and it also knows many useless party tricks. But most interesting to me is I now have a natural language voice interface for all my projects! With the Google Home / Google Assistant, I can control things with my voice, like how Tony Stark talks to J.A.R.V.I.S. And as someone who was born before the Internet, it is amazing to me that I can do this with a $19 device that sits on my kitchen counter. But what good is an “Assistant” if it can’t send emails? Not very, if you ask me. So in this guide, I’m going to share with you how I set up my Google Home Mini to send emails. By the way, this works for any Google Assistant interface (like on your Android phone), so it works even if you don’t have a Google Home. To send emails with Google Home, there are 2 ingredients: IFTTT and Gmail. I’ll assume you have a Gmail account, so we’ll just focus on setting up IFTTT. IFTTT is a free service at ifttt.com. IFTTT stands for “If this, then that.” Or more specifically, “If x happens, then do y.” IFTTT hooks up with all kinds of standards and protocols and services so that you can replace the x and y with anything. If it is dark outside, then turn on the lights. If it is going to rain tomorrow, then disable the sprinklers. If the temperature drops below ___, then set thermostat to ___. If you tell Google Home “Email Joe and say ___”, then send gmail to joe@joe.com with ___ . I’m going to explain how to do that last “recipe”. It’s not that hard, and just a matter of setting up IFTTT. 1) Make a new “If this then that” applet on ifttt.com. Google Assistant will be the “this” part of the recipe and Gmail will be the “that” part. 2) Connect Google Assistant to your IFTTT account. You can program it to trigger an action when you speak a special phrase. 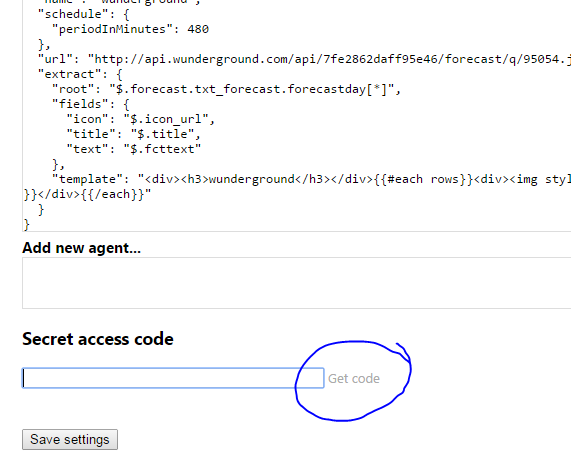 3) Connect a Gmail account to your IFTTT account. It does not have to be your main Gmail account. You can make a new account just for IFTTT mails. When you say your special phrase to Google Assistant, you can program it to send a special email. In some parts of the world, water usage is serious business. For example, there is a drought in California. If you live here, you know that they want you to water your lawn only twice a week. And if they catch you using too much water, they slap you with a higher rate for being a water pig. So water is serious business. But you love your garden and vegetables and trees and such. And they need water. So what can you do? To be honest, I’m struggling to figure that out myself. My neighbor is getting hip with lush succulents that barely need any water. I might go that route too, but even if you do, you still need to be smart about your water. In fact, as you sprinkle more diverse plants around your landscape, watering might get more complicated since different plants need different amounts of water. And the first step to optimizing water usage is being able to CONTROL water flow from a computer program. On, off. Once we can do that, you can smart it up any which way to optimize when to switch sprinklers on or off. So that’s the main goal of this write-up — to show you how to set up a cheap and bulletproof base rig to programmatically switch your sprinklers. S1 and S2 at the bottom are your sprinklers. 24 AC on the right is the standard power supply for your sprinkler valves. Block (A) on the left is the 8-channel relay. Block (B) in the middle-ish is the Cactus Micro microcontroller. Block (C) is the AC/DC converter to tap 24V AC from the standard sprinkler circuit and convert it to 5V DC for our control circuit. 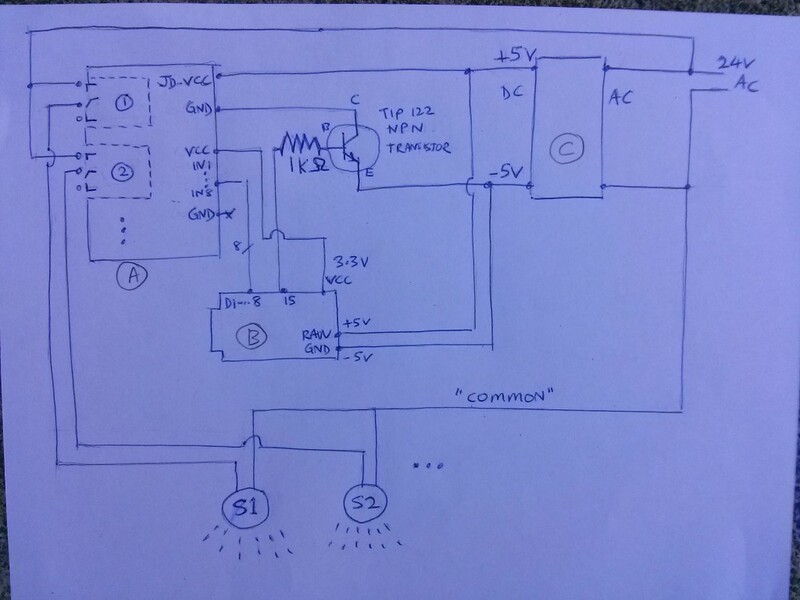 At this point you might be wondering why is there a transistor in the middle of the schematic, if we already have a relay. Well, you don’t need it. But I put it in there as a safety feature. Remember how water is serious business? I figured that I’m okay if my chip malfunctions and it doesn’t turn on the water. But what’s worse is if it malfunctions and the water gets stuck OPEN and floods the yard and the sidewalk and the street and neighbors while I’m away. That would be an expensive disaster. The possibility crossed my mind because I fried one of my Cactus Micro pins while soldering the headers, and it got stuck and pulled one relay open. Had that relay been connected to a sprinkler, and had that sprinkler locked open while I wasn’t home, I would have returned to a $1000 water bill before I could shut it off. This way, two pins have to fail for the relay to be stuck open — which is still possible — but less likely than one pin failing. Can’t be too sure. OK. Now we build. First, prepare the Cactus Micro. The original firmware is garbage. We want to replace it with espduino. 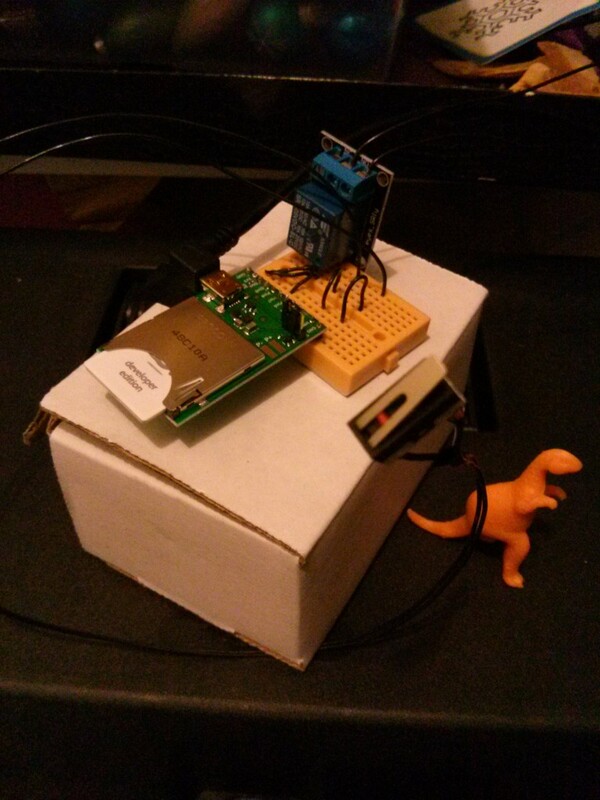 Espduino gives you rock-solid WiFi and lets you work like a civilized person via a REST API, not a caveman via serial commands. Follow instructions in the 2 links below. 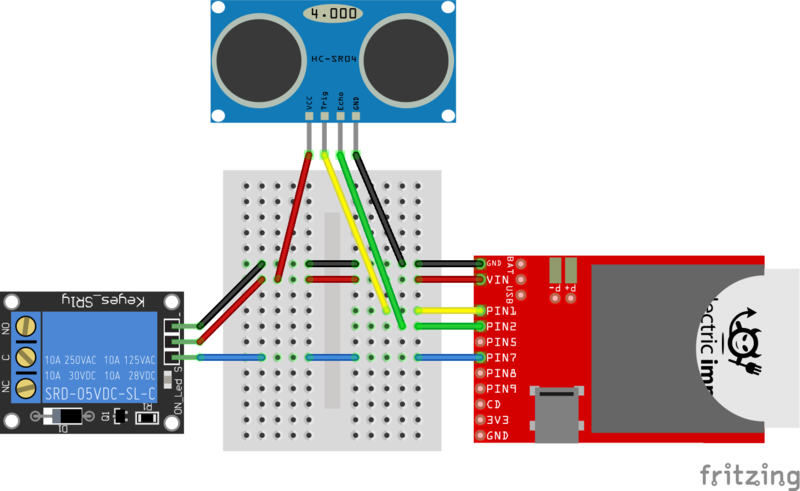 First upload the Arduino sketch to configure the Cactus as a serial programmer. 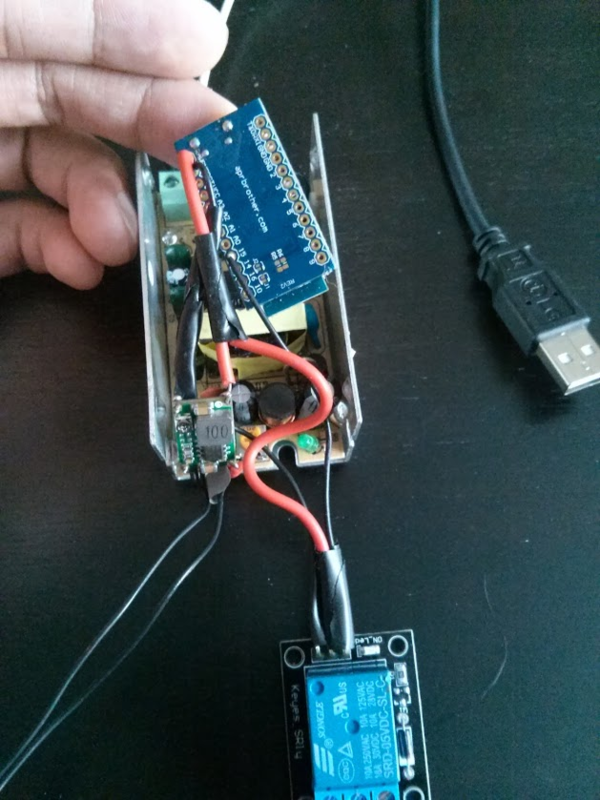 Then flash the ESP8266 firmware through the Cactus host board. * the minute intervals in the 2 hours we're tracking. * Convert each 6-bit chunk into a base64 letter. 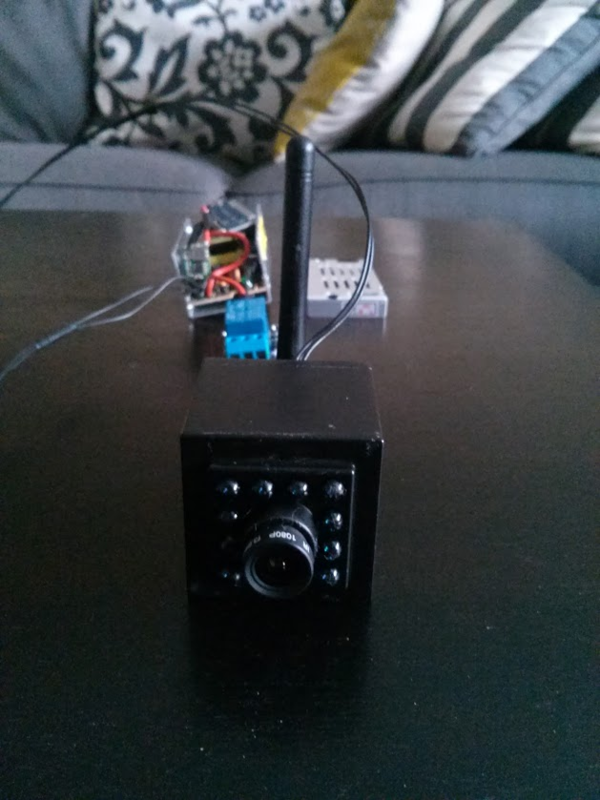 digitalWrite(SPRINKLER_START_PIN+i, HIGH); // this relay uses reverse logic! // turning on water is serious business! // FIXME: increase the period? where 1 is force on, 0 is force off, – is follow program). – restGet() is the wrapper function I use to make HTTP REST calls. It counts errors so that if I see too many consecutive ESP8266 errors, I can power-cycle the ESP8266. I set up my “server” on Google App Engine. 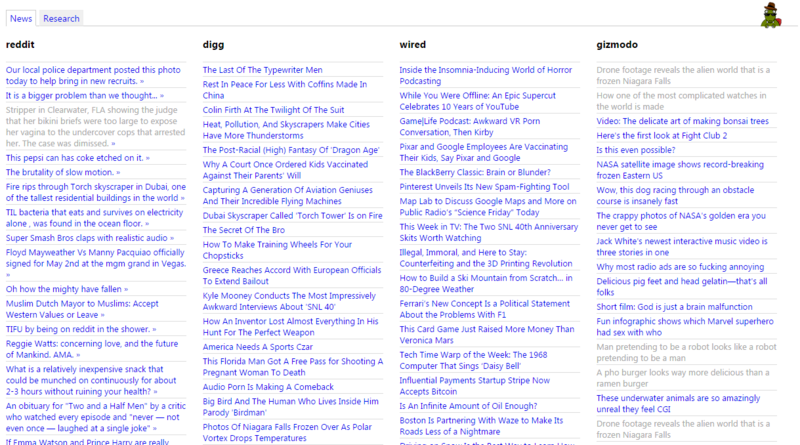 It’s awesome and Google gives you a very generous free daily quota. Unlike Amazon’s EC2 which rails you with no lube and annoying bills even if you do something innocent like leave one terminal connected to your instance. With Google App Engine, I have never needed more than the free daily quota, even with my many projects bashing one app. Here we can see that Sprinkler Channel 1 is running and it has 7 mins left on its schedule. I can tap the on/off buttons on the left to manually override the schedule. AC/DC converter at top left. Mini breadboard to connect wires at top right. Transistor is on breadboard. 8-channel relay at bottom of box. 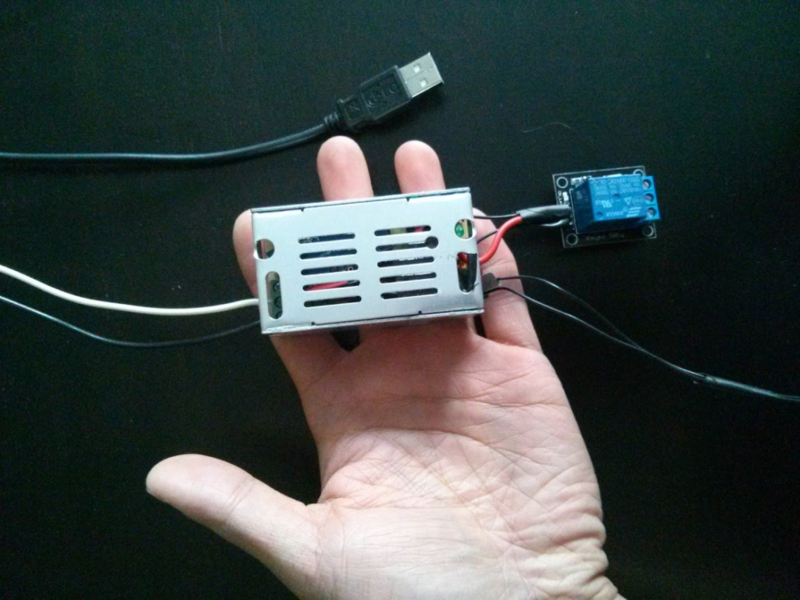 Cactus micro with gazillion wires going to the relay and breadboard. I used the Rev1 Cactus in this pic. You should get the Rev2. One night, I opened my garage door to take out the trash. Then I came back in and went to bed. The next morning, as I was strapping my son into his car seat, he asked me, “Daddy, why is that exercise ball over there?” “What? What exercise ball?” “That one. Who put that ball there?” I replied without looking, “I don’t know, I didn’t put it there.” He said, “Maybe mama put it there.” “Maybe she did.” “Maybe it fell.” I looked back and saw it in the middle of the floor. Strange. Didn’t seem like her to leave it like that. Then I looked around. My toolbox was gone. I looked left. My bicycle was gone. I peeked into my wife’s car. Every compartment was open and trashed. I had left the garage door open and we had been robbed. 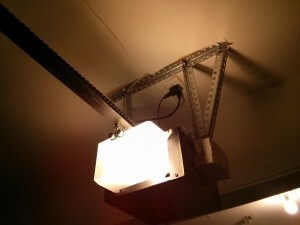 Since then, whenever I left the house, I found myself checking and double-checking the garage door. And sometimes even after triple-checking… I would drive back to check ONE MORE TIME. Because you can’t be too sure. Even when I was home, I found myself constantly peeking into the garage to make sure I didn’t leave the door open again. It was driving me nuts. So I decided to do something about it. If you’re like me, this weekend project will finally give you some peace of mind. 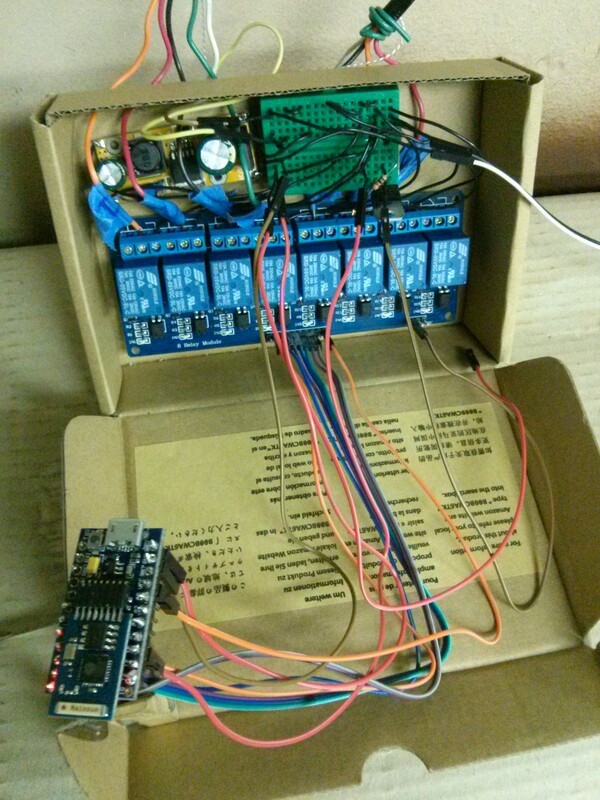 If you’re handy with electronics and code, you could even get it done in one evening. 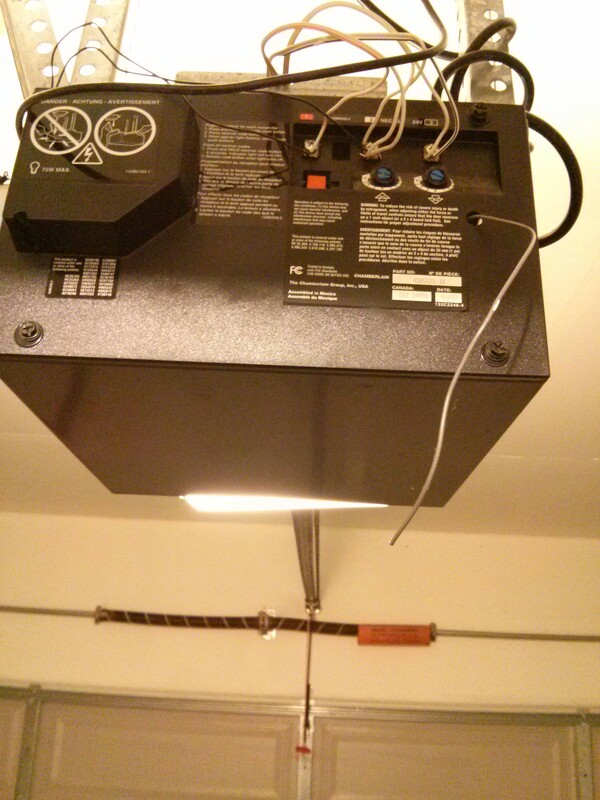 When you’re done, you’ll get to open your garage door from your phone. And best of all, you’ll always know if your door is open or closed. Mini breadboard ties everything together. The Imp is sitting in the April Breakout board. The April board’s soldered header pins plug into the breadboard. The blue thing is the relay with 3 pins in the breadboard. You see a switch in the picture but I replaced that with an Ultrasonic sensor. The problem with the switch was my garage door doesn’t always stop at the same place, so no switch was going to reliably trigger. 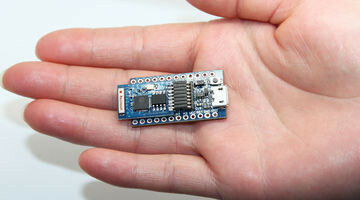 On the other hand, the Ultrasonic sensor measures accurate distances up to 3m, so you can make a software switch that you can tune to perfection. Dinosaur for scale. Goodies tucked into small cardboard box on the side. USB power from ceiling. 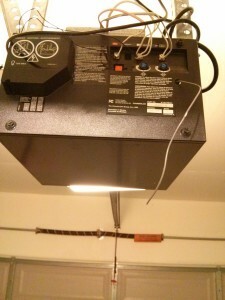 The tiny black wires connect the relay to the same terminals used by the wall switch. Smartphone UI screenshot. Just a big button. The three checkboxes below it are to arm the button. This is so I can’t accidentally press the big button. 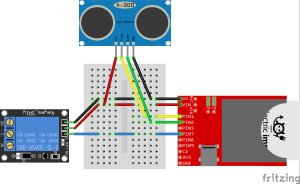 I drew this with Fritzing! // (and only allow authorized users to save rolling codes in DB). If you want to go this route and need more info, email me at aaron@secretsciencelab.com. If enough of you want it I’ll put it here. I’m just too lazy right now! The hardest part is soldering header pins to the Imp, and soldering wires to the Ultrasonic sensor. But other than that, everything else is pretty much plug and play. 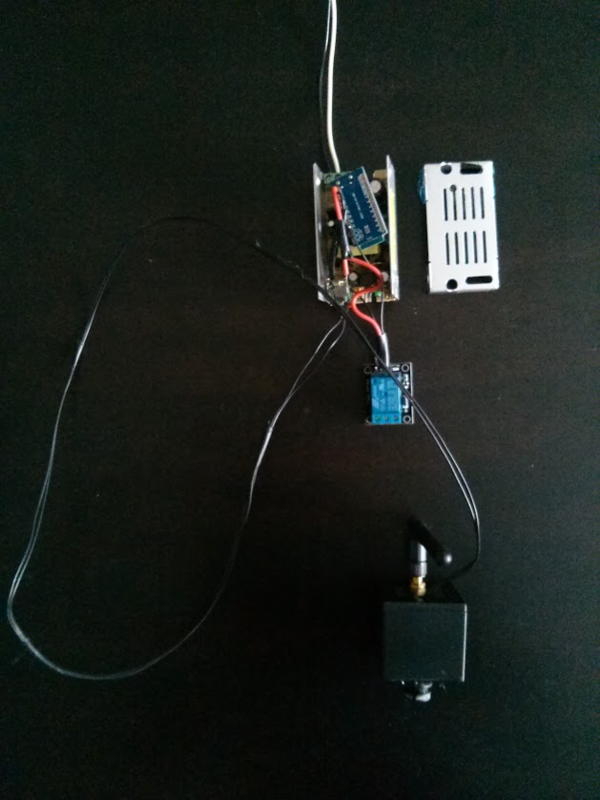 That’s the beauty of using the Imp, the Keyes Relay and an Ultrasonic sensor. All the electronics are nicely packaged in each of them, so all you need to do is connect them with wires. 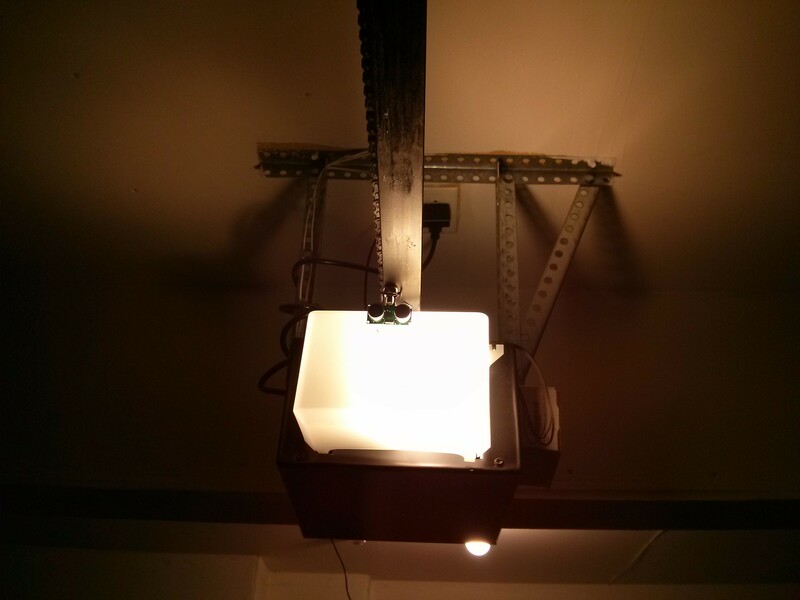 I stuffed everything into a small cardboard box and tied it to the frame of the garage door control box. I plugged the Imp’s USB adapter into the same outlet that powered the garage door control box. Lastly, I secured the Ultrasonic sensor to a bolt under the garage door rail using a twist-tie. Dirty, but simple! Plug your Atom RSS URL above into IFTTT as a Feed recipe. Spyno likes JSON. It’s a JSONivore. 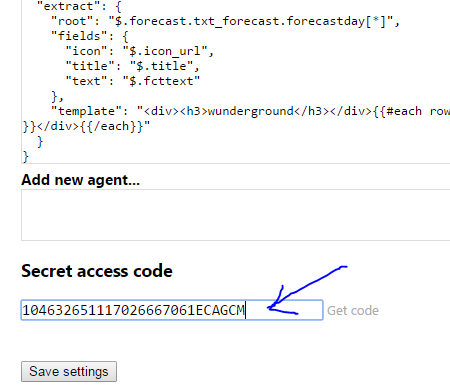 So when you make a Spyno agent, you need to feed it a source URL in JSON format. So whether your favorite site is in RSS or XML, no problem. Just send it to Google Feed to transform it to JSON. 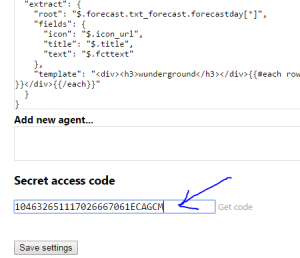 And these two tricks are about all you need to make JSON feeds for your new Spyno Agent. But what if you’re not at your PC? Visit your Public URL, of course! Type chrome://extensions in your Chrome’s address bar. Hit Enter. The link marked (1) is your public URL. Send that to your phone to view Spyno from your phone. 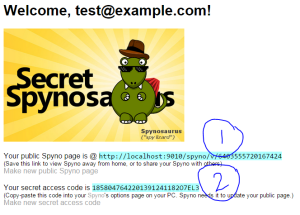 Copy the code marked (2) to your PC’s Spyno option page. 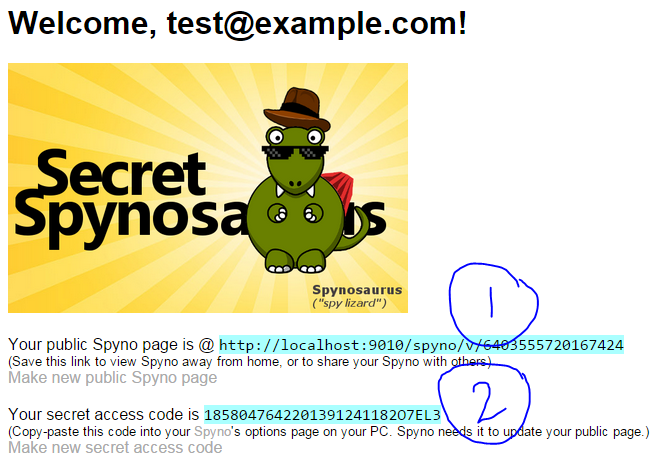 Spyno uses that code to update your public page. Now you can take Spyno with you anywhere. Spyno Agents appear in columns, like a newspaper. The number of columns you see depends on the width of your screen. Agents are drawn left to right until the edge of the screen. Then they continue on the left in the next row, like a typewriter. Sometimes you’ll find that some columns end up longer than others. You may add “Spacer” agents to skip long columns. Just add a “spacer” in the layout like I did in the tabs example above.